Occupation-related stress can be a serious problem, but a trait that turns a good manager/employer into a great one is the ability to identify a staff member who is overstressed and help them resolve the issue. Individuals who are too tense or anxious are prone to burnout and unable to produce high-quality work, so it’s actually to the business’ advantage that personnel are in the best frame of mind possible. There are many things that leadership can do to ease employee stress: strengthening communication, increasing transparency, and delivering regular praise are all great strategies, but sometimes they aren’t enough. 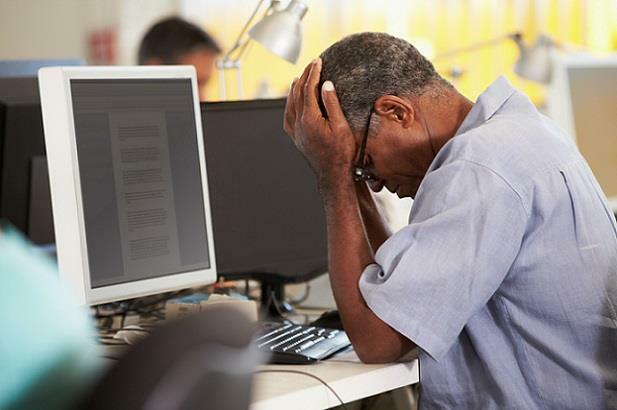 If you suspect members of your team are suffering from stress, share the following list of tips for them to try. 1.Own your stress: To err is human; to work is to be stressed. Rather than fearing stress, prepare for it instead. Know that stress is sometimes unavoidable and everyone experiences it at one time or another. Don’t feel the need to be a superhero and don’t let your stress define you. Identify it, own it, and move past it. 2.Take a deep breath: What pacifies two-year-olds in the midst of tantrums can surely calm adults in need of stress relief, right? In all seriousness, though, think of a deep breath like a quick break. It’s an effective way to take a step back and compose yourself while considering your next move. Deep breathing can also make you feel better by releasing natural pain and stress fighters called endorphins. 3.Let it out (scream your head off): Holding back and bottling up emotions such as anger or stress can have a negative impact on your health, so it’s in your best interest to release those feelings. You may have to go out to your car or find another place to let loose (definitely not in your cubicle or in the restroom). Regardless of where you decide to scream your head off, just do it. You may find it cathartic. 4.Laughter is the best medicine: It’s true; laughter makes you feel better. Much like deep breathing (and exercise, too), laughter releases endorphins that naturally relieve pain and stress. It’s not just about giggling, though; it’s about having a sense of humor and being able to laugh at yourself. Instead of beating yourself up after making a silly mistake, have a chuckle at your own expense and try to put things into perspective by thinking about how much this “problem” will bug you in one, five, or even ten years. 5.Use visualization techniques: If it helped Happy Gilmore, it can help anyone. When things go wrong and you find yourself seriously stressed out, visualize being somewhere else entirely. Imagine yourself at home with your favorite book or relaxing at your favorite vacation spot (this writer recommends Cabo San Lucas). Take a few moments to get away from it all, and when you return to reality, you should feel at least a little bit better. 6.Rock out to your favorite song: It makes no difference what your musical preference is; listening to your favorite tune can do wonders for your mood. Music makes an outstanding distraction, but (depending upon the type of music) it can also lower blood pressure, cut stress hormones, aid in meditation, and assist with working through emotions. In fact, music has been shown to lower chronic and postoperative pain, reduce stress and anxiety in hospital patients, relieve depression in the elderly, and improve quality of life in cancer patients. 7.Take short breaks throughout the day: Health experts recommend that office workers get up from their desks for 5–10 minutes every hour to stretch, walk around, and get a little exercise. Engaging in physical activity and getting your blood pumping is a great way to combat stress, increase energy, and sharpen focus. It also helps prevent eye strain caused by staring at your computer monitor for hours on end, lowers your risk of cardiovascular disease, raises your good cholesterol, and jumpstarts your metabolism. 8.Minimize (or eliminate) interruptions: When your to-do list starts piling up and it seems impossible to prioritize, your first inclination may be to become overwhelmed and stressed out. Instead of allowing your workload to worry you, the best thing to do is to get rid of any distractions. Turn off your phone, close the blinds to your office (if you have one), set aside an hour or two on your work calendar as “unavailable,” and shut down your email. Removing potential disturbances will enable you to focus entirely on the task or project, and you’ll be surprised how much you get done. 9.Clean your workspace: Some folks say a cluttered desk is a sign of a cluttered mind; others prefer the “organized chaos” of a messy workspace (Einstein was very much in the latter group). Whichever opinion you subscribe to, if you find yourself stressed out try cleaning up your office, cubicle, or desk. Taking care of something small like a mess of papers on top of your filing cabinet can inspire you to tackle some of the bigger problems or situations that are the real cause of your stress. 10.Identify triggers and find ways to avoid stress: The best way to get rid of stress is to circumvent it before it becomes an issue. Simple things like getting enough sleep, eating healthier food, and exercising can go a long way in reducing your overall stress levels, but it’s even more important to identify your stress triggers so that you can avoid or eliminate them altogether. Are you perpetually running late? Try to leave 10–15 minutes earlier every morning or set your clocks/watches a few minutes fast. A bit of a perfectionist and a control freak? Forget about perfection, force yourself to let go of a project, and delegate responsibility whenever possible. If you can pinpoint what causes you anxiety at work then you can find a way to resolve it.